In one of the most accurate of sweeping political generalizations, Democrats have been calling Republicans “the party of no.” It was only a matter of time until the Republicans turned the tables with questionable logic. Whether the response of the GOP is unique to Republicans or politics of any party, the GOP chose to take something true and convert it into a falsehood. That will work when all or part of the citizenry are either ill-informed or not paying attention. Protecting wealthy people from paying their fair share of taxes. Running huge deficits as a result of ill-advised tax cuts. “Starving the beast;” i.e. ensuring that worthwhile programs cannot be funded because of large budget deficits. Using wedge issues to distract people from essential economic, environmental and energy issues. Yes they can; the Republicans can turn no into yes and say it without batting an eyelid. 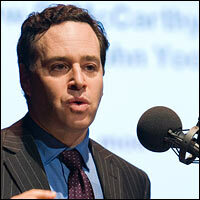 Now former George W. Bush speechwriter David Frum has taken this form of “new speak,” a step further by calling the Democrats the “party of no.” Unlike Gingrich’s semantic games, Frum’s words go beyond “up is down and down is up.” In essence he says that judgment on an issue doesn’t matter. Party of no? When it comes to Supreme Court nominations, the GOP is a flock of baby lambs compared with their opposites on the Democratic side. His assertion is that Democrats are much more effective at rejecting Supreme Court nominees offered by Republican presidents. And on the face of it, he’s right. The last Supreme Court justice nominated by a Democratic president to be rejected was in the 19th century. Two of President Grover Cleveland’s nominees failed to receive Senate confirmation in 1894. This means that we have had a streak of eight straight Democratic presidents (Woodrow Wilson, Franklin Roosevelt, Harry Truman, John F. Kennedy, Lyndon Johnson, Jimmy Carter, Bill Clinton and Barack Obama) whose nominees for the Supreme Court have been confirmed by the Senate. The past two Democratic presidents have named three justices between them: Sonia Sotomayor, Stephen Breyer and Ruth Bader Ginsburg. All glided painlessly to confirmation. Compare that with the mayhem inflicted on Republican choices. Two of President Nixon’s nominees were rejected by the Senate. Ditto for one of Ronald Reagan’s choices (another withdrew shortly after he was nominated). One of President George H.W. Bush’s choices, Clarence Thomas, was confirmed after a fight that still ranks as perhaps the most vicious in confirmation history. When Frum says that the Democrats are “the party of no” with regard to Supreme Court nominees from Republican presidents, he seems to be forgetting something; the qualifications of the nominee to serve on the Supreme Court. Robert H. Jackson (Roosevelt), Tom Clark (Truman), Byron White and Arthur Goldberg (Kennedy), Thurgood Marshall (Johnson), Ruth Bader Ginsburg and Stephen Breyer (Clinton) and Sonia Sotomayor (Obama). Jimmy Carter did not have an opportunity to nominate a justice to the Supreme Court. Let’s give credit where credit is due. In the 1950s, Republican President Dwight D. Eisenhower appointed three outstanding justices to the court: Earl Warren, John Marshall Harlan, and William J. Brennan. George H.W. Bush also gave us David Souter. Is Frum upset that the Senate rejected Clement Haynsworth, who was nominated by Richard Nixon? 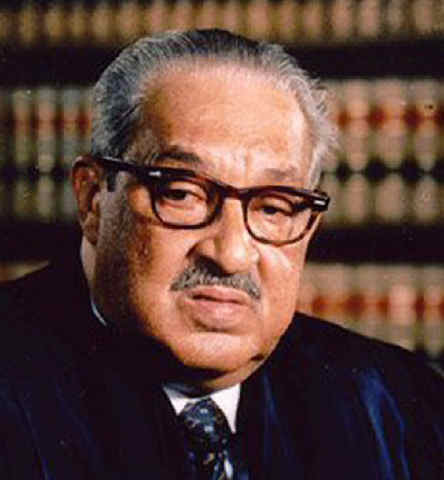 As a federal judge, Haynsworth had repeatedly ruled in favor of laws enforcing segregation, and he was reflexively anti-labor. He also ruled in cases where he had apparent financial interests. Nixon then nominated Harold Carswell, who supported racial segregation during his unsuccessful election bid in 1948. His nomination was doomed by a “with friends like this, who needs enemies?” remark. Republican Senator Roman Hruska from Nebraska stated, “Even if he is mediocre, there are a lot of mediocre judges and people and lawyers. They are entitled to a little representation, aren’t they, and a little chance?” Carswell’s nomination was defeated 51 to 45. At the risk of generalizing, many Republicans seem to have blind spots when it comes to assessing certain individuals’ lack of intellectual gravitas to hold high office. In less than twenty years, their national tickets have included Dan Quayle, George H.W. Bush, and Sarah Palin. It may be the Republicans who are smart, because among the three of them, they have been victorious in three of the five elections in which they have run. Intelligence and wisdom may not be important factors to Americans as they assess leaders. If so, Frum’s criticism may convince some that the Democrats are the “party of no.” And if that argument holds, the starting point for educating the American people is teaching that up really is up and down really is down. In 1968, Johnson nominated associate justice Abe Fortas to succeed Earl Warren as chief justice. 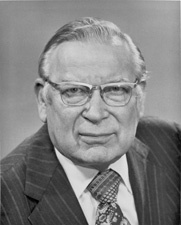 Because of some of Fortas’s extrajudicial activities, Johnson withdrew his nomination for chief justice, but Fortas remained on the bench as an associate justice. Next Post:What are secret holds, and why ban them?